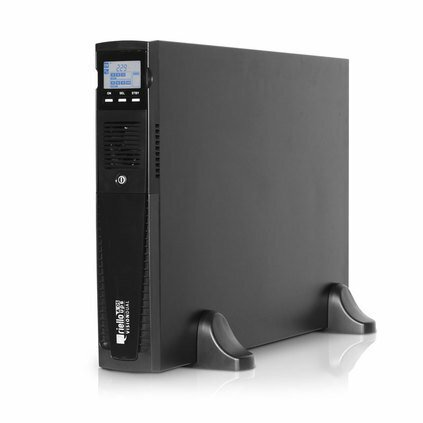 The Riello Vision Dual ER 3000VA (3kVA) UPS provides line interactive power protection and a sinewave inverter output. The Vision Dual UPS has a built-in automatic voltage regulator (AVR) and EMI filters to provide protection from sags, surges and brownouts over a wide voltage range and reduce battery usage. When mains power fails, an external battery extension pack (BEP) – purchased as a separate item as per the table below – powers the inverter which then supports the load with sufficient runtime to run through most power breaks or shutdown systems using PowerShield remote management software. The UPS is in a dual tower / rack format with easy access to rear panel output sockets and a front LCD panel for operational status information that can be turned to suit the installation format. 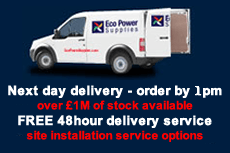 See the standard 3kVA Vision Dual with internal battery.